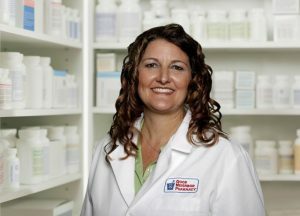 RALEIGH, N.C.— CPESN USA, a clinically integrated, nationwide organization of pharmacy networks organized to advance community-based pharmacy practice, announced that Deborah Bowers is the winner of the 2018 CPESN Luminary-of-the-Year Award. Bowers, owner of Yorkville Pharmacy in York, S.C., and lead luminary for CPESN South Carolina is the winner of the annual award sponsored by Upsher-Smith. • John Croce, B.S.Pharm., pharmacist and co-owner of Four Corners Pharmacy in Delmar, NY, and luminary for CPESN Upstate NY. CPESN Networks continue to expand across the country with 46 local networks in 41 states. These pharmacy providers have emerged and joined the movement to provide patients, physicians, and payers with enhanced medication-use and patient-care services that have been proven to improve patient health and lower healthcare costs.